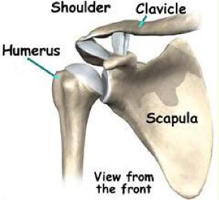 The normal Shoulder is made of two bones: thee scapula and the humerus. The scapula is commonly referred to as the “shoulder blade” and the humerus is the long bone in the arm. The joint where the two connect is referred to as a “ball and socket,” the scapula providing the socket and the head of the humerus being the ball. A fracture means a bone has a crack or break. 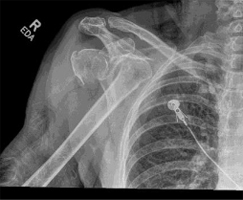 A fracture of the proximal humerus means the break occurred in the bone adjacent to the glenoid socket. 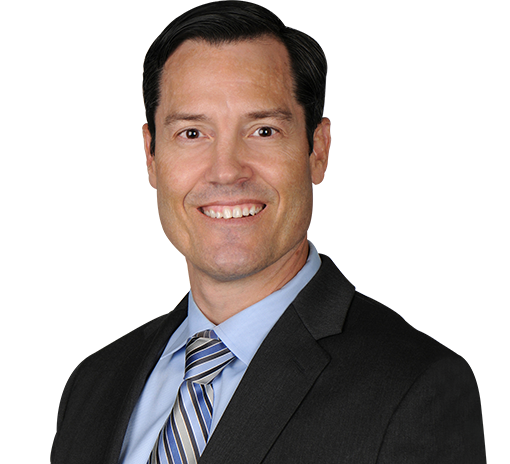 These fractures almost always occur as a result of a significant fall or trauma accident. 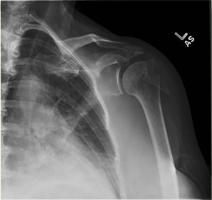 These fractures are described by the part of the humerus that is fractured, with four specific locations to classify the injury: the ball, the greater tuberosity, the lesser tuberosity, and the humeral shaft. 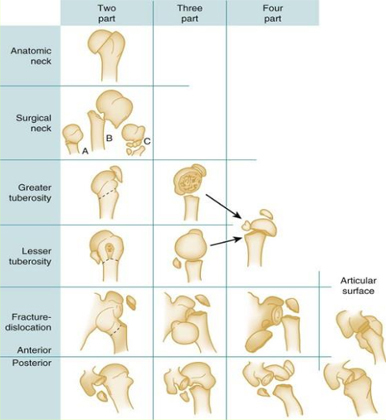 The injury is also described by the number of parts to the fracture. 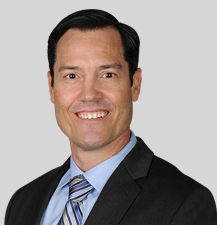 Non-operative is encouraged for fractures that are only minimally displaced or when surgery might have a greater risk due to patient-specific factors. The arm will be placed in a shoulder immobilizer for 2-4 weeks. Physical therapy will begin after and will involve gentle stretching to restore motion, followed by strengthening in a few months. When the fracture is unlikely to heal on its own due to the severity, surgery will be recommended. If the bone fragments are in good shape and can be pieced back together open reduction and fixation of the fracture will be conducted. This open repair will utilize hardware such as plates, screws, and strong sutures to hold the fragments in place. 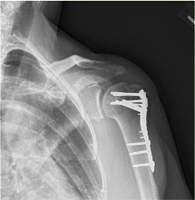 If the bones are too badly damaged to be salvaged a hemiarthroplasty will be used to replace the broken proximal humerus with an artificial ball and stem. In elderly individuals with poor bone quality even a hemiarthroplasty may not be sufficient to ensure adequate healing and pain relief. 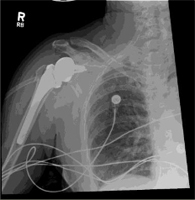 A reverse total shoulder arthroplasty(RTSA) will be used in this situation. 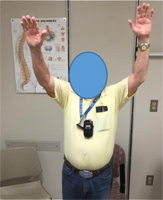 Patients can have excellent motion and function following RTSA.